Central India Train Tour, Train Tour of Central India . 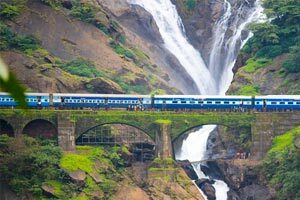 India's heartland is largely bestowed with hidden surprises that are readily packaged to be discovered during Central India Train Tour. 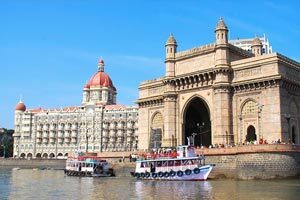 Trailing through the leading tourist destinations of India, the journey is a once in a lifetime experience allowing tourists to visit remarkable sites during a single tour. 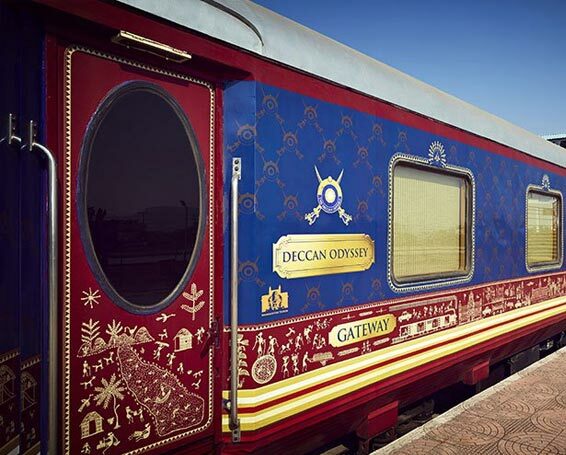 Beginning from Delhi, the journey moves on to the royal roots of Jaipur and artistic Mughal city of Agra. Later the tour enters the heartland of India, Madhya Pradesh where tourists get to feel the rustic essence of historical Jhansi and Orchha. 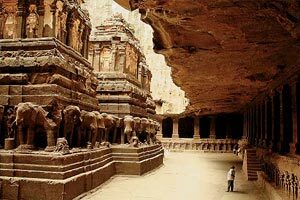 This visit is later accentuated with a surreal experience of discovering celebrated sculpted legacy at Khajuraho. 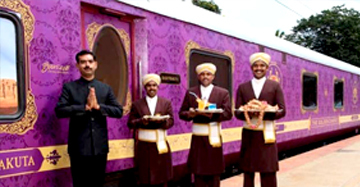 This cherished Central India Train Tour, towards the end wraps up in one of the oldest inhabited cities of India, Varanasi, where travellers can sense the real India based on harmony of religions and life along side River Ganges, the lifeline of the nation. 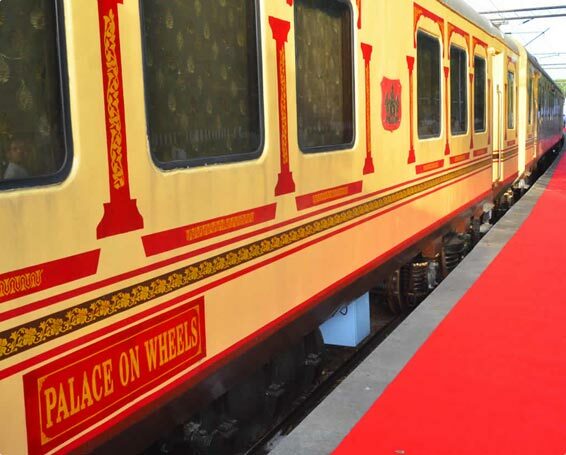 Arrive Delhi, meet and assist India Luxury Train representative at the airport who will assist the transfer to hotel for overnight stay. 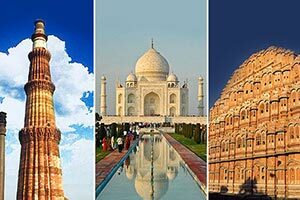 After breakfast, embark on a full day sightseeing tour of Old and New Delhi including a visit to the largest Asian mosque - Jama Masjid, Red Fort, Chandni Chowk, Mahatma Gandhi Memorial - Rajghat, Jantar-Mantar, Laxmi Narayan Temple, India Gate, Qutub Minar and Parliament House. Overnight stay. 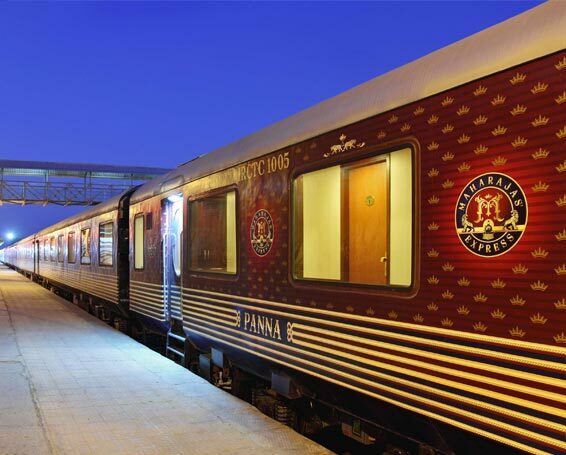 In Morning, transfer to the railway station for boarding the train to Jaipur # 2015 Ajmer Shatabdi (dep. 06:10 hrs and arr. 10:45 hrs). Upon arrival, transfer to the hotel. 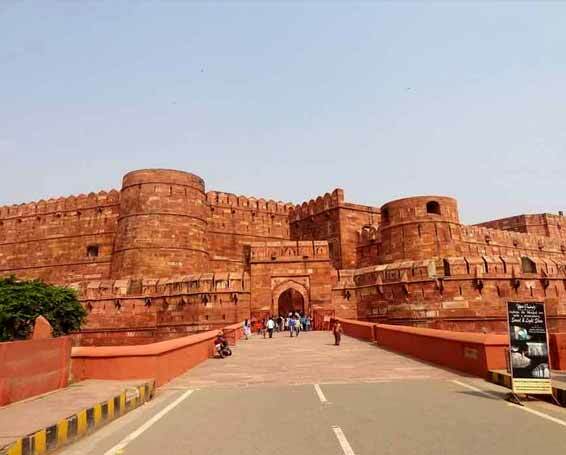 Afternoon, sightseeing tour of Pink city including Hawa Mahal, City Palace, Birla Mandir, Jai Singh's Observatory and stroll through the busy bazaars. Overnight stay at hotel. 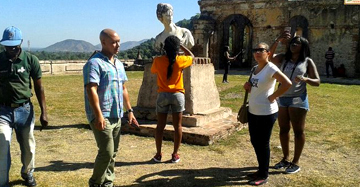 After breakfast, visit Amber Fort on an Elephant / Jeep Safari (charges extra). 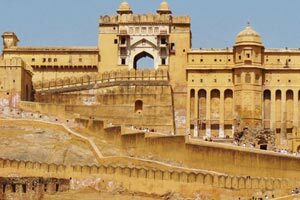 Amber Fort is the testimony of establishment of Jaipur's establishment. Complete exploring Jaipur with a visit to City Palace, Jantar Mantar and Hawa Mahal. Later drive to Agra (232 km / 5 hrs). 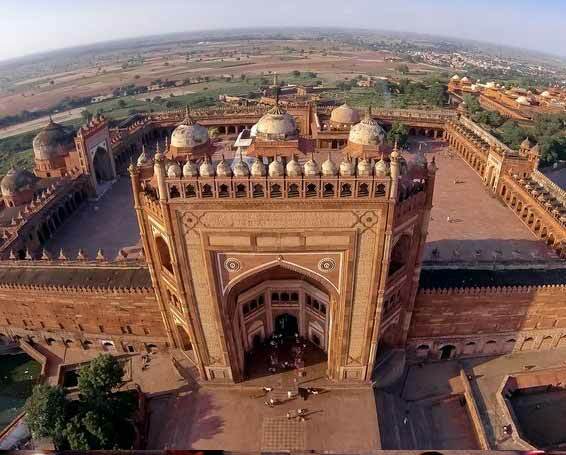 Enroute visit Fatehpur Sikri, the old Mughal capital known as a ghost town is still preserved in a good condition. Upon arrival, transfer to the hotel for overnight stay. 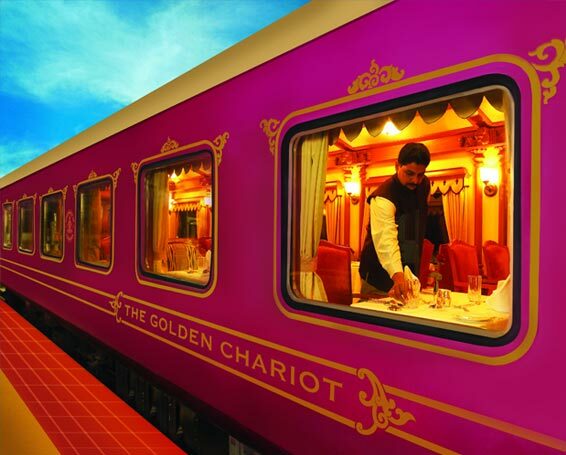 After breakfast, visit Taj Mahal, one of the Seven Wonders of the World, Agra Fort and Itmad-ud-Daula Tomb. Evening is free for leisure where you can explore the brilliance of Agra Bazaars. Overnight stay. 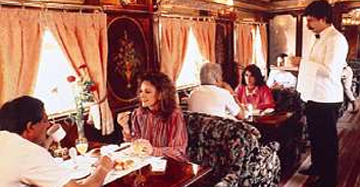 After breakfast, transfer to the railway station to board the train to Jhansi # 2002 Bhopal Shatabdi (dep. 08:17 hrs and arr. 10:43 hrs). Upon arrival, transfer by car to Khajuraho (190 km/4 hr). Enroute visit Orchha's bygone palace and riverside cenotaphs. 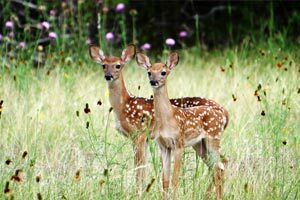 Sum up the day by arriving at Khajuraho, famous for its 10th century sculpted temples. Upon arrival, transfer to the hotel. Later, embark on a city tour of Khajuraho Temple Complex. Overnight stay. After breakfast, move towards the large monumental complex at Khajuraho, famous for sculpted carvings. In the afternoon, transfer to the airport and board the flight for Varanasi. Upon arrival, transfer to hotel. 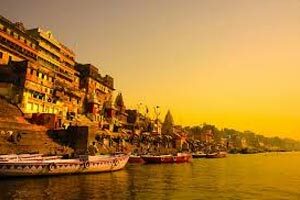 Varanasi is the most important place of pilgrimage for Hindus beautified with multifarious sights depicting the real Indian culture and traditions. One can often picture the devouts praying while witnessing the splendid ghats of Varanasi. 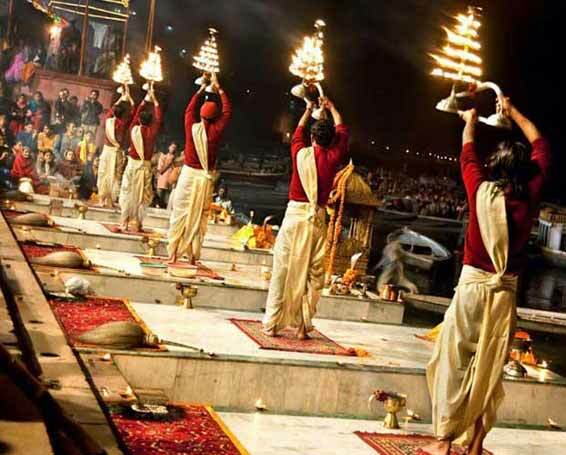 In the evening, visit River Ganga Ghat to attend the holy Aarti. Overnight stay. Early morning experience the sanctity of River Ganges through a boat ride. 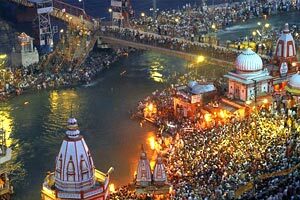 Later visit famous Bathing Ghats of Varanasi. 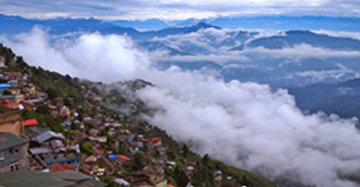 Return to hotel for breakfast and move ahead with the discovery of Varanasi via a visit to various temples, bazaars or marketplaces and notable Banaras Hindu University. In afternoon visit Sarnath, the important Buddhist heritage site where Lord Buddha preached the first sermon to his first five followers. 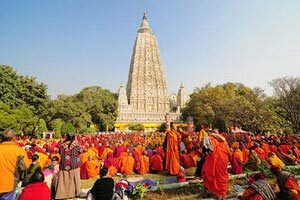 It is believed that Lord Buddha initiated Sangha in Sarnath. Overnight stay. After breakfast, day is free at leisure. 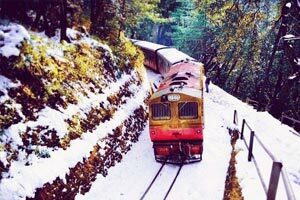 In evening, transfer to the railway station to board the train to Delhi by # 2559 Shiv Ganga Exp (dep. 19:15 hrs). Overnight on board. Arrive Delhi at 07:30 hrs. Upon arrival, transfer to the International Airport to catch the flight for onward destination.